Over the past several years I’ve written articles discussing various sides of martial arts training. In my article entitled, “Commercialism vs. Traditionalism” I talked about a conversation a good friend of mine and I had. 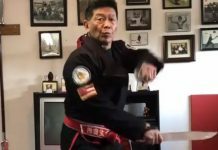 My friend is a respected commercial karate school owner and has battled with whether to teach kata or not too, and at what point. Jeff Cobb, my student in Anniston, Alabama, suggested I write an article and talk specifically about the importance of kata. In fairness I must tell you I didn’t appreciate the importance of kata for nearly twenty years of my total forty-eight of studies and training. 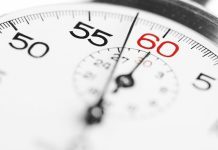 I hope this article will serve to instill both an understanding and desire to make personal improvements where needed, as well as to increase the level of understanding for your students. For many practitioners training in kata is a must. Yet how many of us really understand the true reason for such studies. There are students and their sensei alike who don’t like learning or practicing kata; they’d rather put on the gloves and spar. During the annual American Karate System summer camp in July of 2007, one young man testing for his 4th Dan couldn’t even explain why kata was important; other than he had to do them in order to test. I have found introducing an understanding (the bunkai) of the movements of a form early in the learning process facilitates the students understanding of what he’s doing and why. 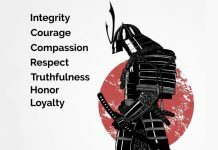 During the testing of the young man I mentioned above I performed a portion of a black belt kata and ask him if he could explain what the movements meant. He had no clue. Then I got some assistants to attack me in a prearranged manner and did the form again as I was being attacked, thus allowing the student to see how each of the movements applied as I defended myself. Afterwards I ask the student if he understood the kata better; he of course did. The sad part of this explanation is how long this person had been training without a true understanding or appreciation of why we practice kata. He was testing for his 4th degree black belt and was lacking in both understanding and comprehension in this most important area. He had been training for at least twelve years, and had himself been teaching others for more than nine of those. How many black belts do you know who fit this same scenario? My reason for explaining this should be clear. We have many people who wear black belts and are good instructors for the most part. Yet when it comes to kata they don’t like teaching, let alone practicing them. What message does this send to their students? How can we as sensei do a better job of instilling the importance of kata in our students early on? These questions need answering if we hope to develop students with well-rounded abilities and knowledge. Part of the problem is many of us were taught by instructors who themselves didn’t understand why they were taught kata; other than they had to in order to earn their rank. Other schools involved in a purely competitive mode, teach kata for use during tournaments. They develop some very accomplished students whose acrobatic prowess should be applauded. However, they also lack the necessary understanding and knowledge of what kata is truly about, and how they serve as an excellent training aid. So how should we proceed to fix this problem? As I mentioned earlier I teach students the bunkai of a kata as I begin teaching it to them. I explain the execution of a form is practicing defensive and offensive movements against imaginary opponents. When you watch a good black belt perform a kata well, you can almost see them blocking and countering their imaginary attackers. They make the kata come alive in our minds. As students practice their forms I continue to ask them to explain what they’re doing. This challenges them to think and analyze the application of the particular form and its respective movements. In O’Sensei’s autobiography, “Karate-do, my way of life,” he talks about how the practice of kata helped him change from a sickly boy into a healthy young man. He also makes it clear his sensei had him practice the same kata over and over, never receiving any explanation or praise. Eventually he was taught the next kata. He assumed when this happened his sensei was satisfied he was performing the old kata at the appropriate level. Over my several decades of training I have found practicing kata to be fulfilling for several reasons. First is the ability to train alone. When you practice kata properly it provides for both aerobic and anaerobic exercise. You work on the offensive and defensive techniques and tactics that will allow you to protect yourself. Secondly, when you have learned a kata properly and completed enough repetitions, the kata becomes part of you. In the event you are attacked the movements you’ve learned will immediately respond; as they have become conditioned reflexes. Lastly, anyone who practices kata must also incorporate the development of their knowledge as to what each movement represents. To the Japanese and Okinawan practitioners this is referred to as Bunkai. The true student of the martial arts cannot hope to acquire any fulfillment in their training if they can’t come to an understanding of what the movements of their respective kata represent. The more advanced the student, the more advanced the explanation. My senior student and long time friend Dr. Robert Debelak wrote an article about kata that was published in the September 2006 issue of the AKS newsletter. In his article he used the analogy of a tea bag to describe how he saw kata. Kata is like a tea bag. If you try to taste it by itself, the flavor is strong, overwhelming, and hard to swallow. You probably won’t want to try it more than once. Yet, unpacking kata is like putting that tea bag in a cup of hot water. Give it a little time, and the effect of the flavor is more enjoyable! This simple explanation helps to put the practice of kata into perspective. Learning and practicing forms is not something one takes to overnight. However, with time and patience, an understanding and appreciation for kata will evolve. With that evolution will also come a love and respect for kata that will be conveyed to your students. If this process were to be followed we would eventually have dojos full of practitioners who could both execute and explain the why and wherefores of the forms they’d learned. Imagine the quality of black belts we’d have then. It’s important all of us who wear black belts and teach inspiring students about our styles do a better job of ensuring they have a solid understanding and knowledge of their kata. 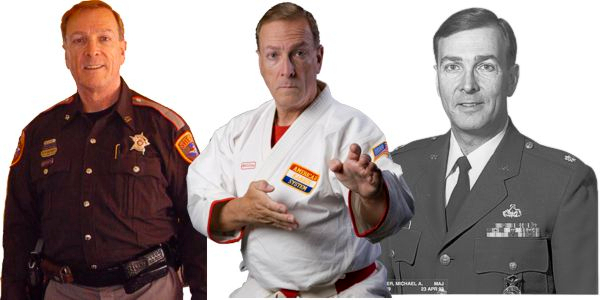 Michael Sullenger started his martial arts training at the age of 12 in 1960. Over the years he has studied Judo, Jujitsu, Hapkido, Shotokan, Issinhryu, Chung Do Kwan Tae Soo Do, and Tang Soo Do Mu Da Kwan. 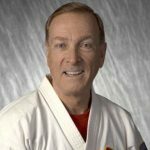 He joined Mr. Lieb's organization in 1972 and was one of the 13 original schools/instructors who assisted in founding the American Karate System. 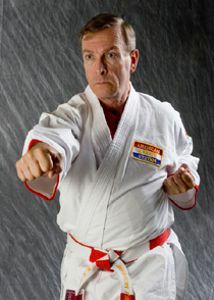 He has practiced and taught the martial arts in eight states and three European countries since February of 1967. He has been involved in law enforcement including civilian and military, city, county and state for over 40 years. His military career includes 4 years as an enlisted man during the Vietnam time frame (10/1960 to 10/1970), and as an officer for just over sixteen years (12/1976 - 6/1993) retiring as a Major. He has been teaching law enforcement officers in all of these states and countries as well over the same time frame.